Three incoming BU freshmen and two recruits expected to arrive in 2015 were selected on the second day of the NHL Entry Draft held in Philadelphia. BU's total of five picks tied BC for the most draft selections this year by an NCAA school. Twenty players currently at or committed to Hockey East schools were drafted, the most of any NCAA D1 conference. 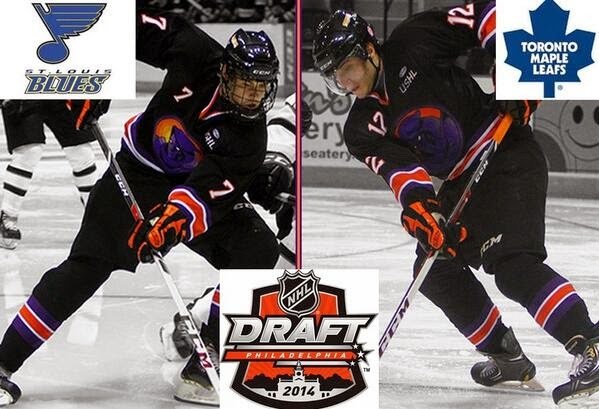 Letunov (left) and Piccinich (right), teammates on the Youngstown Phantoms last season, both were picked considerably higher than their Central Scouting rankings had suggested. Letunov, a 6-2 center from Moscow, had been ranked #87 among North American skaters, while Piccinich, who led the USHL in power play goals with 13, was ranked #135 on that list. RD MacLeod, ranked #44 among North American skaters, was the 37th player from Canada or the US to come off the board. Before spending the past two seasons with the US NTDP, he skated for Kimball Union where he was paired with current Terrier Doyle Somerby. Hickey, the first player drafted out of the Alberta Junior Hockey League, can look forward to returning to that province to play with Calgary. The 6-2 LD, who represented Canada in both the World Junior A Challenge and the World U17 tournament, brings strong skating skills and breakout ability. 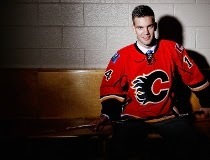 "He bought in, started playing smarter and by Christmas, was a highly effective top-six forward used on the power play. 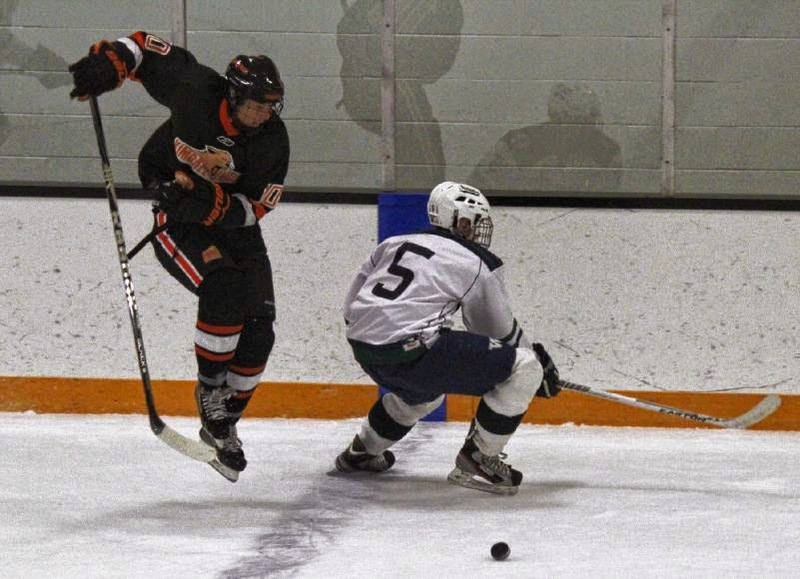 By mid-January, NHL scouts were taking serious notes on Liam.The Terriers have recruited a beauty." Liam Coughlin (Vernon Vipers), taken by the Edmonton Oilers, heading to Boston University next year, big power forward with a great shot. 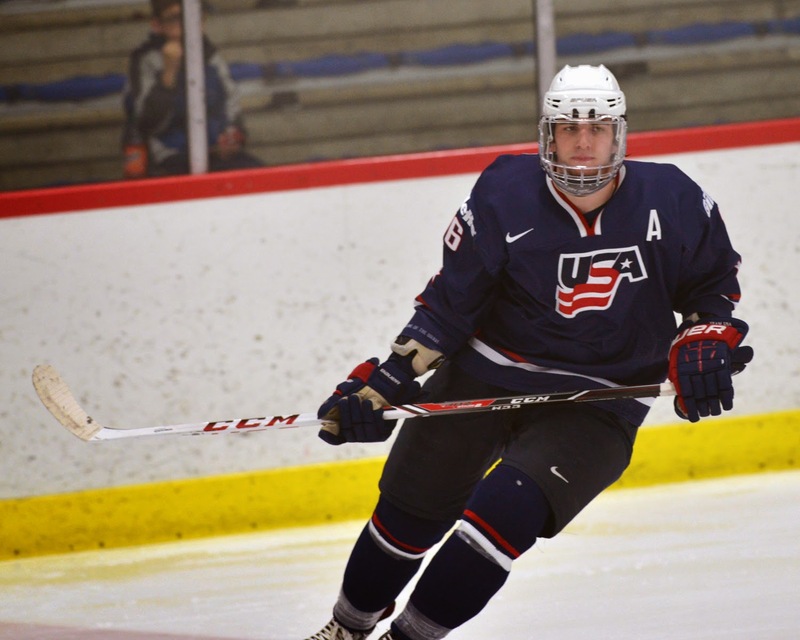 BU projects to have as many as three first-round picks in the 2015 draft: 2014 recruit Jack Eichel is a contender for the top overall spot; 2015 recruit Jordan Greenway (photo, NTDP U18s) has been ranked in the top 15; and 2014 recruit A.J. Greer's name is on some lists as a late first-rounder. For BU's 2014 recruits, their college days begin tomorrow. Strength & Conditioning Anthony Morando tweeted: Frosh Arrive tomorrow. Workouts begin Monday #future #readytoroll Looking forward to it boys. ►A pair of Terrier veterans, goalie Matt O'Connor (photo) and right wing Kevin Duane, are on the roster for New York Rangers development camp beginning June 30 and running through July 4 at the Madison Square Garden Training Center in Tarrytown, N.Y.
Former Terrier captain Nick Bonino talks about his trade to Vancouver, which came a week before his July 5 wedding to former BU women's hockey standout Lauren Cherewyk. 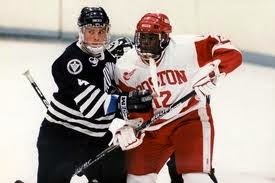 ►Mike Grier, a Terrier All-American and member of the 1995 national championship team, will be an instructor at USA Hockey's Select 17 development camp in Amherst, N.Y., which began today. Grier discusses his post-playing days activities and how USA Hockey's American Development Model (ADM) aims to enhance the creativity of U.S. hockey players. 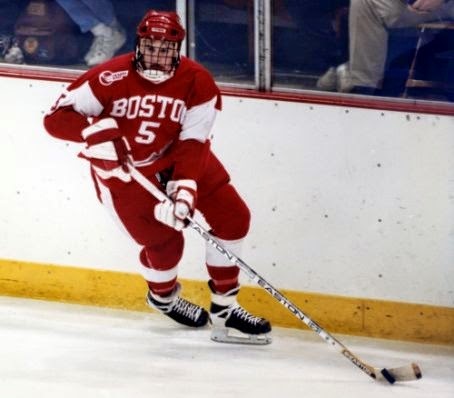 ►Another Terrier All-American, Tom Poti, who recently concluded a 14-year NHL career, talked with New England Hockey Journal about his decision to play at BU and his experiences as a Terrier, including reaching the 1997 national championship game. Six BU recruits were ranked by NHL Central Scouting for the entry draft which begins tomorrow in Philadelphia and continues on Saturday: Johnathan MacLeod #44, Brandon Hickey #63, Maxim Letunov #87 (photo), Bobo Carpenter #119, JJ Piccinich #135, and Chase Phelps #163. Looking ahead to the 2015 draft, The Boston Herald talked with incoming BU freshman Jack Eichel, projected to be one of the top three picks a year from now, and NTDP U18 coach Jon Gruden, who explains why. ►Earlier tonight, Eichel was interviewed on TSN’s Countdown Show with Bob McKenize. 2014 recruit Connor LaCouvee's hometown newspaper reports on the Alberni Valley Bulldogs goalie's commitment to BU. A pair of 2016 Terrier recruits, defenseman Vas Kolias and power forward Johnny McDermott, (photo) will be teammates (Forrest team) at the USA Hockey Select 17 Player Development Camp in Amherst, N.Y., beginning June 30. 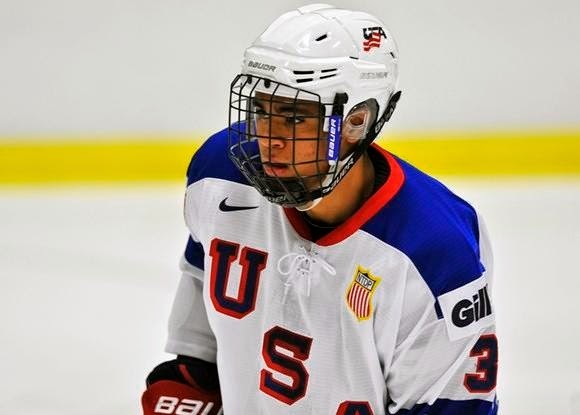 Kolias, who played for Chicago Mission last season, had his USHL rights acquired by Youngstown and he’ll join 2015 recruit Maxim Letunov on the Phantoms next season. McDermott, an emerging star at The Westminster School last season, was selected by the Tri-City Storm in the recent USHL Futures Draft. Former BU All-American and 2009 Hobey Baker Award winner Matt Gilroy has signed on for next season with Atlant Moscow Oblast of the KHL. 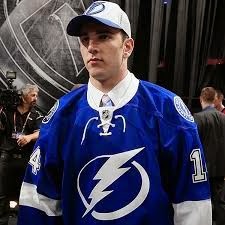 Gilroy, who split last season between the Florida Panthers and AHL affiliate San Antonio, had signed a free agent contract with the NY Rangers within days of BU’s overtime win against Miami in the 2009 Frozen Four final. 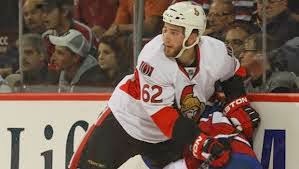 Another blueliner from the 2009 national championship team, Eric Gryba, has signed a new contract with Ottawa covering two seasons and totaling $2.5 million. Former Terrier captain Nick Bonino was traded by Anaheim to Vancouver for Ryan Kesler. Bonino scored a career-best 49 points for the Ducks last season and added four goals in the playoffs. McKeen’s Hockey’s Grant McCagg has rated the top body-checkers in the NHL Entry draft. 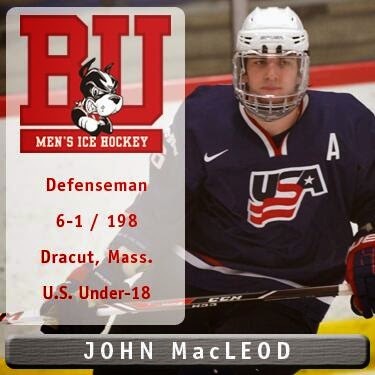 2014 recruit Johnathan MacLeod, who spent the past two seasons manning the blue line for the NTDP U17 and U18 teams, is ranked # 2. Johnathan MacLeod never turns down an opportunity to step up with a big hit, as several unfortunate opponents discovered during the U-18s. Yahoo! 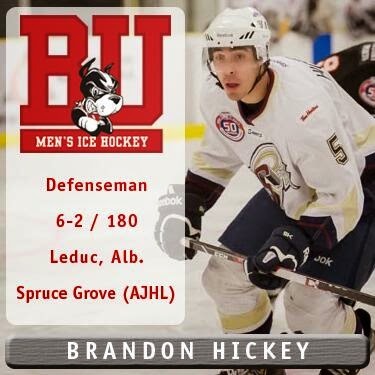 Sports’ Neate Sagar talked with 2014 recruit Brandon Hickey about his decisions to play college hockey and to do so at BU. Future Considerations’ Andrew Weiss, looking at draft-eligible USHL players, opines that 2015 recruit Maxim Letunov could be a “steal” in the middle rounds of this week’s NHL entry draft. The 6-2 center from Moscow scored 43 points (19G, 24A) in his first USHL season at Youngstown, where he teamed with 2014 BU recruit J.J. Piccinich. 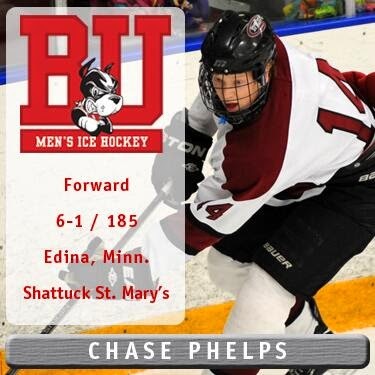 Writing for USCHO, Al Daniels talked with 2014 recruit Chase Phelps about his experiences playing for prep hockey power Shattuck St. Mary's and about his decision to commit to BU. The 6-0, 180 lb. 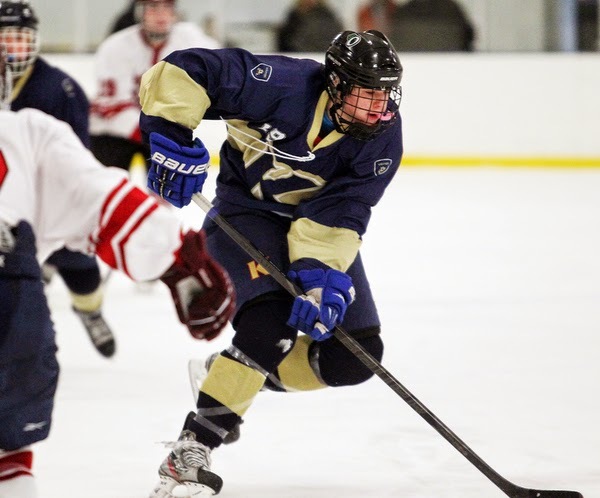 left wing scored 66 points (24G, 42A) to power the SSM offense, along with 2016 recruit Clayton Keller, as the Sabres claimed the USA Hockey Tier 1 18U national championship. McAvoy: “Late 1997 [is] very, very offensively gifted. He’s really coming along. Him and Chad (Krys), both Rockets, both NTDP, could end up being two of the best offensive guys available on the back in two years time. Former Terrier John Hynes is one of the candidates for the vacant Pittsburgh Penguins head coaching job. 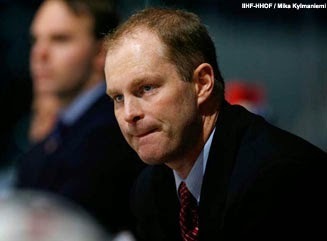 Hynes, who began his coaching career as a graduate assistant at BU and later spent six years coaching the US NTDP progam, has been head coach of the Pens’ AHL affiliate in Wilkes Barre/Scranton since 2009.